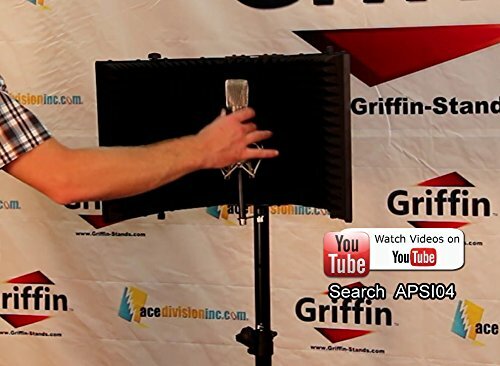 Sound Treat Your Vocal Recordings Anytime, Anyplace with the Best Microphone Sound Diffuser 5 Panel Stand by Griffin! Would you like to record your vocals like a pro, but dont want to spend a fortune on proper studio acoustic treatment? 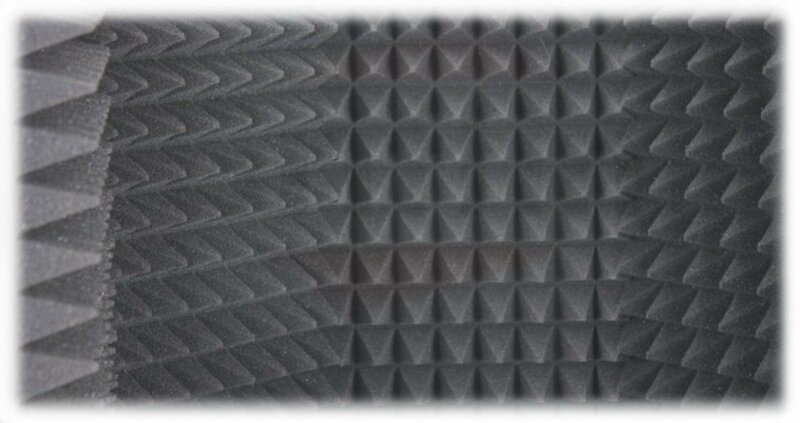 Then this premium microphone sound diffuser panel is just what you need! Unlike most similar products on the market, this sound diffusion mic shield features foldable outermost panels and comes with a professional studio shock mount, ready to attach on your microphone stand, right out of the box! 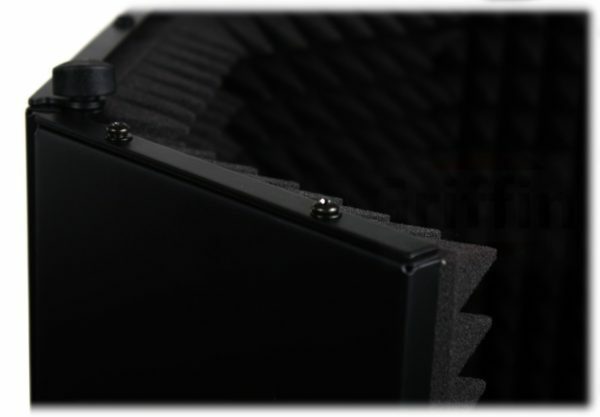 Equip Yourself with the Best Sound Absorbing Mic Shield and Take Your Vocal Recordings to the Next Level!  Designed for audio technicians and musicians who dont want to compromise their vocal recordings, this soundproof filter barrier promises outstanding quality and impeccable performance every time! Scroll Down and Click Add to Cart Now, While Supplies Last! 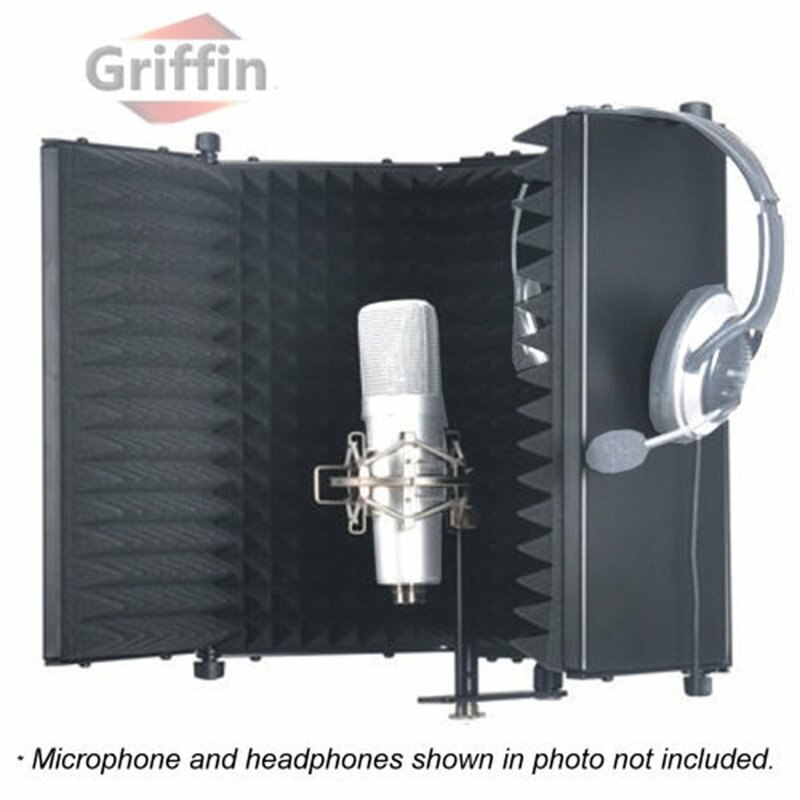 RECORD YOUR VOCALS THE RIGHT WAY: Are you looking for a top quality, yet affordable soundproofing solution for your vocal recordings? 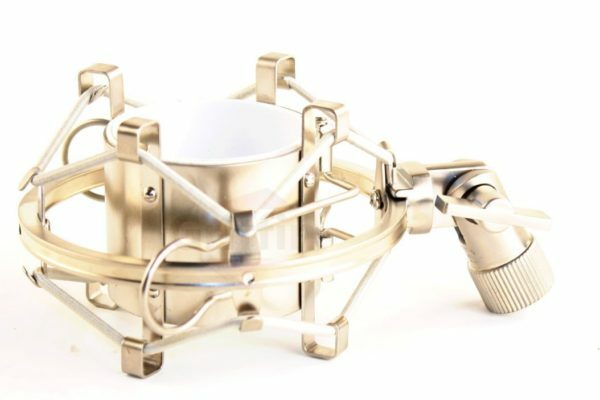 Then look no further than this studio microphone isolation shield enclosure! Boasting a strong, metal shell with 5 acoustic foam panels that will block off outside noise, such as air conditioning or computer fans, reduce sound reflections or echo and attenuate unwanted acoustic interference, this soundproof filter will let you record like a pro! SAVE MONEY AND SPACE: Why spend tons of money on proper acoustic treatment for your professional or home recording studio, when you can achieve outstanding results with this premium quality sound diffusion mic shield for much less? 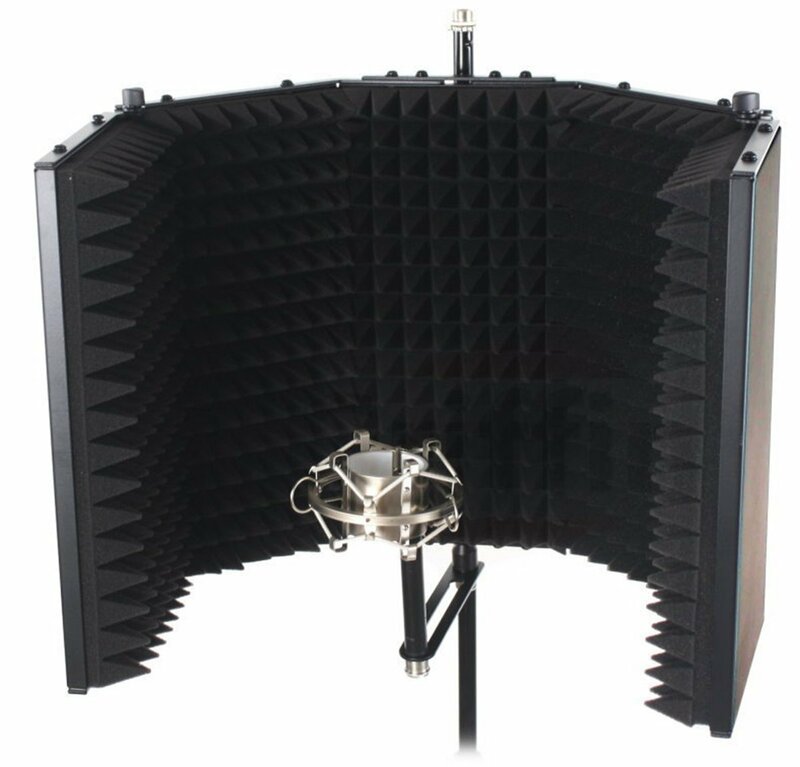 This sturdy and exceptionally well-built noise deadening barrier features high density, 2″ acoustic foam panels that will easily wrap around your microphone and act like mini a vocal booth, providing superior noise reflection. 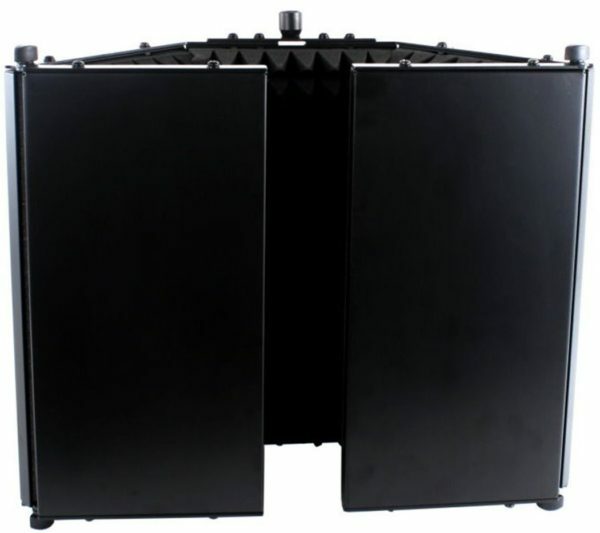 SELECT YOUR PREFERRED POSITION: Unlike most other microphone sound insulation diffusers on the market, this device boasts two completely foldable outermost panels that allow you to place the noise absorbing barrier in any position, ranging from fully opened to fully closed, according to your needs and preferences. Especially useful for carrying your microphone sound isolator on the go, this model offers premium portability and unmatched convenience for the travelling musician. COMPLETE WITH REMOVABLE SHOCK MOUNT! This music recording mic diffuser panel comes complete with a removable, studio shock mount that can easily be adjusted in depth (towards to or away from the panels) to help you achieve the noise reduction you desire. 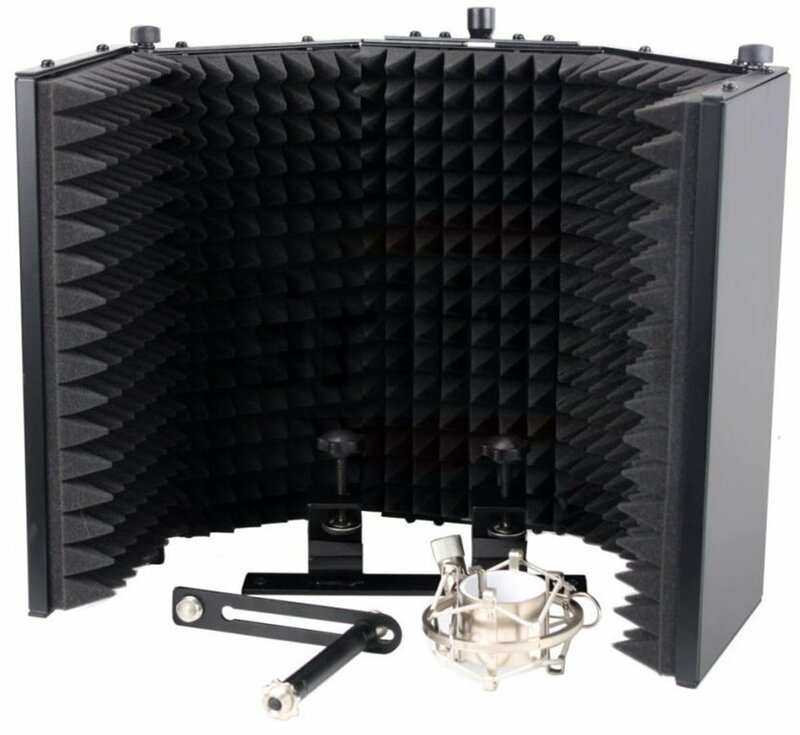 Compatible with nearly all microphone and speaker stands, this sound diffusion mic shield is designed to accommodate tube sizes from 15mm (0.6″) to 35mm (1 3/8″) and is best mounted on a medium to heavy duty mic stand or tripod speaker. 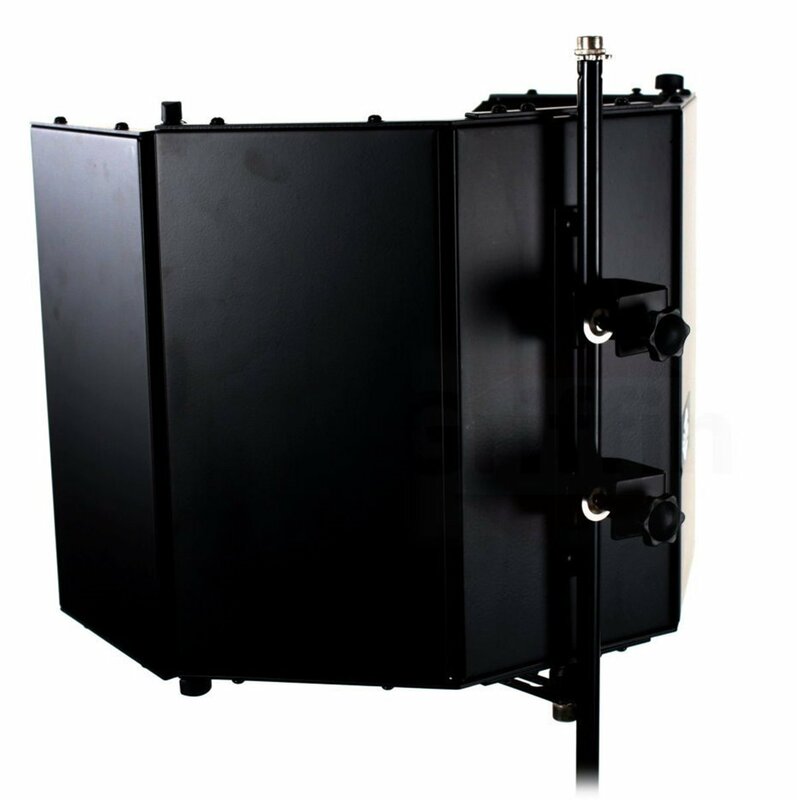 GET IT RISK-FREE: We are so certain about the top quality and outstanding performance of this 5 panel studio microphone diffuser that we are able to offer you a a complete piece of mind 1 Year full factory warranty which is included with all new purchases. Note: microphone, headphones, & microphone stand shown in photos are not included.